Our key criteria for this list are cost (i.e. must be below $250 to get started) and accessibility – that anyone of any skill or age should be able to afford to take part, as close to anywhere in the world as is feasible! What’s not to love? A growing international community of events. Roll your own code, choice of hardware (much of which is either off-the-shelf, 3D print your own or remake from old parts) and a supportive fun environment with lots of support resources. 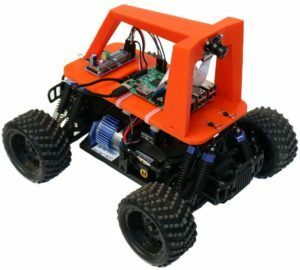 DIY Robocars sprang from the mind of drone guru and author Chris Anderson in 2016 and has gone from strength to strength. 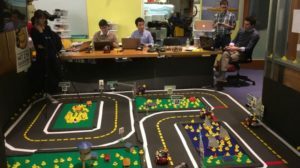 Created to fill a void in technology training for first-year students at MIT, Duckietown has grown across ten countries and several universities as a structured learning and development programme in AI, robotics and real-world scenarios, only placed behind DIY Robocars because of poor resourcing in the past 18 months during which the number 1 project has grown 10-fold! This quiet period is now being resolved after a Kickstarter launched in August 2018 and with a goal to raise just under $50,000, will probably put up a bigger fight for the top spot in 2019. 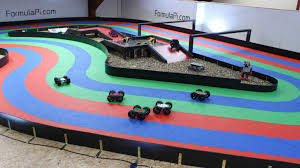 The UK-based project wins a creditable 4th place as a minnow in a space dominated by giants, using their own hardware and software base and focusing on racing, Formula Pi uses the Raspberry Pi and a variety of racing robots which vary in price, power and complexity and race against other teams on a colour-coded track. The programme not only qualifies but leap-frogs into 3rd place (despite the partly closed source nature of their codebase) because of one particularly brilliant innovation, the ability to take part in races remotely by uploading your code, from wherever you are, to an identical car at the track. 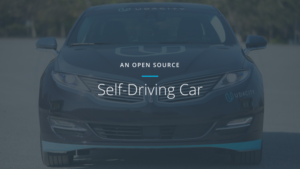 Apart from their well-known Self Driving Car Nanodegree, Udacity has now unleashed free introductory data and open source software on the world as part of their desire to encourage more people into the sector to join their charged for online training courses (starting at about $900). While the hardware support might be on the light side (they have just one car and that’s reserved for the golden students) the key opportunity with Udacity content is has extremely close alignment with the technologies, tools and processes used by the professionals already in industry – after all, the original brain behind the idea was Stanford University Professor Sebastian Thrun, the DARPA Grand Challenge winner and one of the founding fathers of Google’s Self Driving Car efforts. 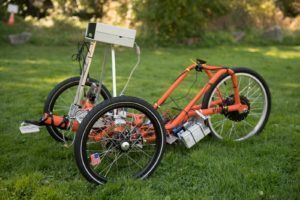 Another University project, Elcano sprang out of the University of Washington, where Professor Tyler Folsom saw a need to make other vehicles autonomous and in a way that was cheap and reliable (and not just toys). The Elcano Project makes a valiant appearance closing out our Top 5 because every component is low cost and easily swapped out, and you could probably make a full size but low-cost autonomous vehicle for only a few thousand dollars (including the donor vehicle). Do you agree with this list? Have we missed an obvious candidate for the top 5? Contact us! Formula Student Driverless – great programme originating from Germany and now spreading around the Formula Student eco-system, working on student-built race cars. Restricted to Universities taking part in the FS programme already, frenetic race engineering is also not the same as the skills needed to develop on-road autonomous vehicle technology. Code and hardware are known only to the teams taking part, and many receive significant sponsorship to take part. Student Robotics – Aimed at school age children, Student Robotics is a commercial project to support the acquisition of STEM skills. Primarily using small supplied kits, numerous competition tasks involving moving small objects around short courses and navigating to set points using QR codes.